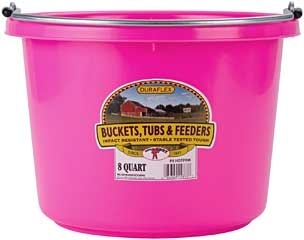 20 quart flat back bucket. 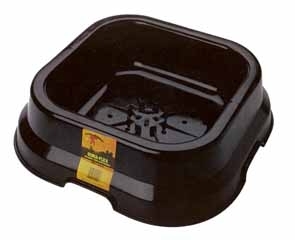 the flat side fits more compactly against the wall or fence and makes hauling heavy loads a lot easier. 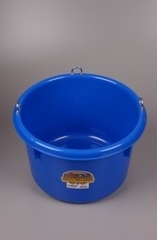 Buckets are molded from tough polyethylene resin that is impact resistant. 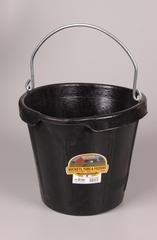 Features heavy duty steel eyelets and handles. 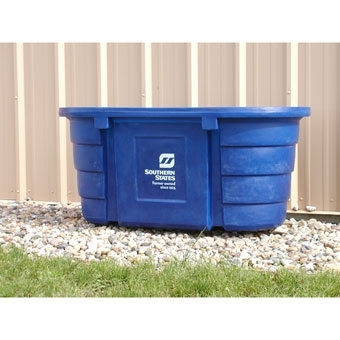 Southern States labeled blue poly tank 95 gallon capacity. Won't rust, corrode or rot. All one piece high density polyethylene construction; no seams, no solder, no place to leak, all parts are uniform in thickness - no thin corners or edges - all corners rounded and smooth for animal safety, safe for all types of livestock (hogs, pigs, cattle, llama's, goats, sheep, horses) hog drinkers can easily be installed; UV protected; heavy duty 1in mold in drain plug for easy drain out. 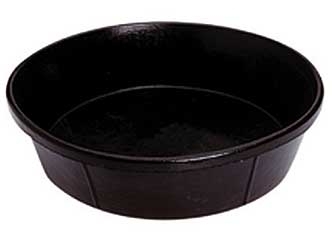 DURAFLEX 10QT MINERAL / SALT PAN. 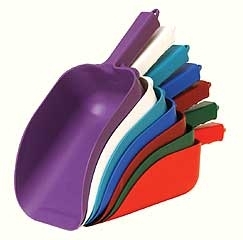 Is molded from a tough polyethylene resin that is impact-resistant, protects against warpage, and helps prevent stress cracks. 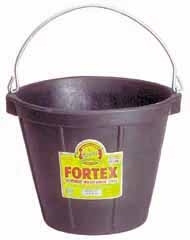 DURAFLEX 12QT RUBBER ALL PURPOSE PAIL. 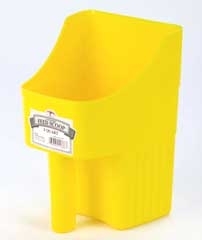 Molded from the finest corded rubber on the market, nothing matches the pliability and strength of DuraFlex Rubber. 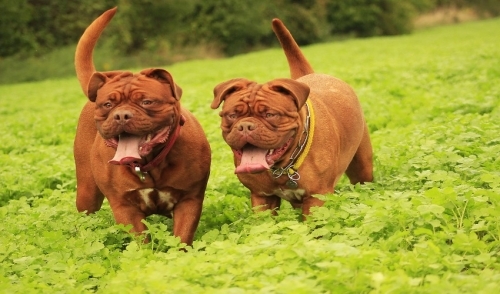 They are crush-proof, crack-proof and freeze-proof so you can leave them outside year-round! 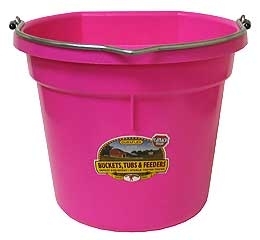 Buckets feature heavy-duty steel handles and eyelets. 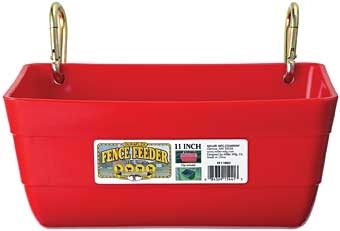 Duraflex Fence Feeder with Clips Red 11"
High-impact, red, polyethylene plastic will stand up to tough farm use. 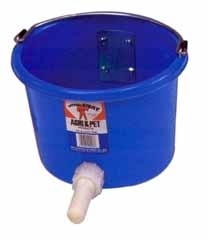 Portable and easy to install and clean. Can be mounted to wall instead of using provided clips. Total capacity of 4.5 quarts liquid and 4 quarts dry. 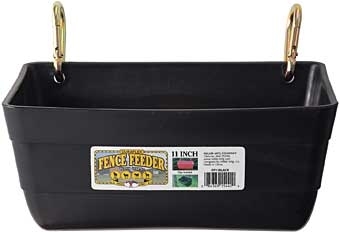 Duraflex Fence Feeder with Clips Black 11"
High-impact, black, polyethylene plastic will stand up to tough farm use. 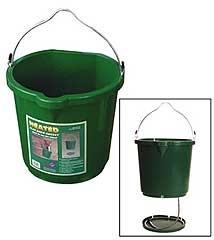 Portable and easy to install and clean. Can be mounted to wall instead of using provided clips. Total capacity of 4.5 quarts liquid and 4 quarts dry. 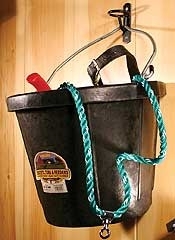 Powder coated bucket hook will hold bucket securely in place preventing animals from knocking bucket over. No springs or moving parts to rust or jam. Simple to install. Boxed in an attractive 25 piece counter top display. 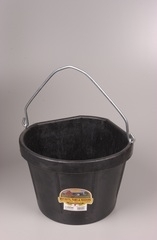 Molded from the finest corded rubber on the market, mothing matches the pliability and strength of DuraFlex Rubber. 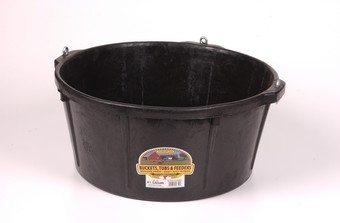 It is crush-proof, crack-proof and freeze-proof so you can leave it outside year-round! 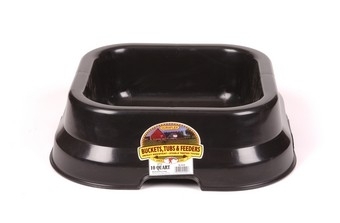 Ideal for feeding smaller animals. 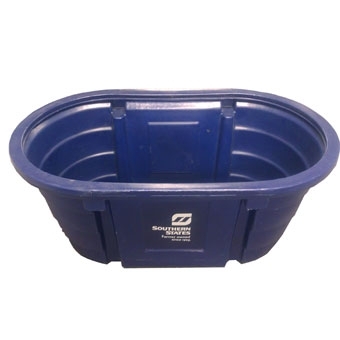 Has capacity markings. Steel eyelets are provided for easy mounting in stall. 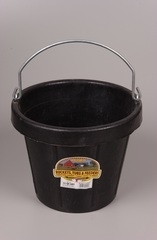 15 quart hook over feeder features molded in brackets that hook over any 2 inch board fence. 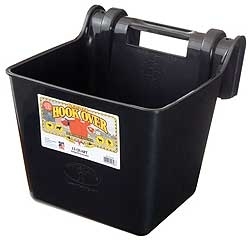 The hook over feeder is ideal for field, pasture, trailer or stall. Built in screw holes allow for permanent installation. 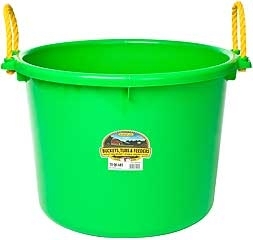 Perfect for horses, goats, sheep and dogs.